Green hot cups are available in many sizes. Green cutlery is now available at reasonable prices. 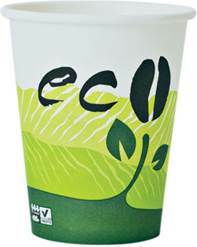 Our green cold cups can be found here. Green plates and bowls are made from sugar cane fiber.